Arévalo Bencardino, J. 2018. Capacidad del Estado y apoyo a la democracia: retos y oportunidades para la Colombia del postconflicto. Revista de Economía Institucional. 20, 39 (jun. 2018), 159-186. DOI:https://doi.org/10.18601/01245996.v20n39.07. está asociada con un menor apoyo a los principios y al desempeño de la democracia. Estos resultados se discuten en el contexto de los acuerdos de paz entre el gobierno y las Farc, y de sus implicaciones para el postconflicto en Colombia. Alviar, H., Azuero, A. y Bejarano, A. (2009). La dimensión constitucional de la democracia, Documentos de Trabajo 7, Bogotá: PNUD, IDEA Internacional. Andersen, D., Møller, J., R0rb�k, L. L. et al. (2014). State capacity and political regime stability. Democratization, 21(7), 1305-1325. Armingeon, K. y Guthmann, K. (2014). Democracy in crisis? The declining support for national democracy in European countries, 2007-2011. European Journal of Political Research, 53(3), 423-442. Baiocchi, G., Heller, P. y Silva, M. (2011). Bootstrapping democracy: Transforming local governance and civil society in Brazil. Stanford: Stanford University Press. Barnett, M. (2006). Building a republican peace: Stabilizing states after war. International Security, 30(4), 87-112. Berman, S. (2007). Lessons from Europe. Journal of Democracy, 18(1), 28-41. Bratton, M. y Mattes, R. (2001). Support for democracy in Africa: Intrinsic or instrumental? British Journal of Political Science, 31(3), 447-474. Carothers, T. (2007). The "sequencing" fallacy. Journal of Democracy, 18(1), 12-27. Centeno, M. A. (2002). Blood and debt: War and the Nation-State in Latin America. Harrisburg: Penn State University Press. CNMH. (2013). Guerrilla y población civil. Trayectoria de las FARC 1949-2013. Bogotá: Centro Nacional de Memoria Histórica. Cooley, A. (2015). Countering democratic norms. Journal of Democracy, 26(3), 49-63. Danahar, P. (2013). The new Middle East: The world after the Arab spring. Londres: Blomsbury Press. De La Calle, H. (2008). Reforma electoral en Colombia. En D. Zovatto y J. Orozco (eds. ), Reforma política y electoral en América Latina: 1978-2007 (pp. 391-456). México: UNAM/Idea Internacional. Delegación del Gobierno Nacional y Delegación de las FARC-EP. (2013). Participación política: apertura democrática para construir la paz. La Habana: República de Colombia. DeRouen, K., Ferguson, M. J. et al. (2010). Civil war peace agreement implementation and state capacity. Journal of Peace Research, 47(3), 333-346. Diamond, L. (2009). The spirit of democracy: The struggle to build free societies throughout the world. Nueva York: St. Martin's Griffin. Diamond, L. (2015). Facing up to the democratic recession. Journal of Democracy, 26(1), 141-155. Diamond, L. (2016). Democracy in decline how Washington can reverse the tide. Foreign Affairs, julio-agosto. DNP. (2011a). Bases del Plan Nacional de Desarrollo, 2010-2014. Bogotá: DNP. DNP. (2011b). Plan Nacional de Desarrollo, 2010-2014. Prosperidad para todos. Bogotá: DNP. Easton, D. (1965). A systems analysis of political life. Nueva York: Wiley. Felbab-B., V. (2016). ¿Quién paga por la paz en Colombia? Revista de Economía Institucional 18(35), 13-38. Fernandez, K. y Kuenzi, M. (2010). Crime and support for democracy in Africa and Latin America. Political Studies, 58(3), 450-471. Fukuyama, F. (2014). Political order and political decay: From the industrial revolution to the globalization of democracy. Nueva York: Farrar, Straus and Giroux. Fukuyama, F. (2015). Why is democracy performing so poorly? Journal of Democracy, 26(1), 11-20. Garay, L. J. y Salcedo-A., E. (2012). Narcotráfico, corrupción y Estados. Cómo las redes ilícitas han reconfigurado las instituciones en Colombia, Guatemala y México. Debate. García, M. (2008). Jueces sin Estado. La justicia colombiana en zonas de conflicto armado. Bogotá: Siglo del Hombre Editores. Dejusticia. Konrad Adenauer Stiftung. The John Merck Fund. Gómez, F. (2009). La restitución de la tierra y la prevención del desplazamiento forzado en Colombia. En C. Charruca y Mertens (eds.). Desplazamiento en Colombia. Prevenir, asistir, transformar. Cooperación internacional e iniciativas locales (pp. 131-180). Bogotá: La Carreta Social. González, F. (2014). Poder y violencia en Colombia. Bogotá: ODECOFI. González, F., Bolívar, I. y Vásquez, T. (2002). Violencia política en Colombia. Bogotá: CINEP. Gutiérrez, F. (2014). El orangután con sacoleva. Cien años de democracia y represión en Colombia (1910-2010). Bogotá: IEPRI-Debate. Gyimah-B., E. (2015). Africa's waning democratic commitment. Journal of Democracy, 26(1), 101-113. Haerpfer, C. W. (2008). Support for democracy and autocracy in Russia and the commonwealth of independent States, 1992-2002. International Political Science Review, 29(4), 411-431. Heller, P., Harilal, K. N. y Chaudhuri, S. (2007). Building local democracy: Evaluating the impact of decentralization in Kerala, India. World Development, 35(4), 626-648. Huntington, S. P. (1968). Political order in changing societies. Estados Unidos: Yale University Press. Inglehart, R. (1997). Modernization and postmodernization. Princenton: Princeton University Press. Inglehart, R. (1999). Postmodernization erodes respect for authority, but increases support for democracy. En P. Norris (ed. ), Critical citizens. Global support for democratic governance (pp. 236-256). Oxford: Oxford University Press. Inglehart, R. y Welzel, C. (2005). Modernization, cultural change, and democracy: The human development sequence. Cambridge: Cambridge University Press. Inglehart, R. y Welzel, C. (2010). Changing mass priorities: The link between modernization and femocracy. Perspectives on Politics, 8(2), 551-567. Jaramillo, S. (2014). Territorial peace. Cambridge, Mass: Harvard University. Kalmanovitz, S. (2010). Nueva historia económica de Colombia. Bogotá: Taurus. Kotzian, P. (2011). Public support for liberal democracy. International Political Science Review, 32(1), 23-41. Krieckhaus, J. et al. (2014). Economic inequality and democratic support. Journal of Politics, 76(1), 139-151. Levitsky, S. y Way, L. A. (2010). Competitive authoritarianism. Hybrid regimes after the cold war. Cambridge: Cambridge University Press. Magalhães, P. C. (2014). Government effectiveness and support for democracy. European Journal of Political Research, 53(1), 77-97. Mainwaring, S. y Pérez-L., A. (2015). Cross-currents in Latin America. Journal of Democracy, 26(1), 114-127. Mansfield, E. y Snyder, J. (2007). The sequencing "fallacy". Journal of Democracy, 18(3), 5-10. Masoud, T. (2015). Has the door closed on Arab democracy? Journal of Democracy, 26(1), 74-87. Micklethwait, J. y Wooldridge, A. (2014). The fourth revolution: The global race to reinvent the State. Nueva York: Penguin Press. Mill, J. S. (1862). Considerations on representative government. Londres: Public Domain Books. Møller, J. y Skaaning, S. E. (2013). The third way: Inside the numbers. Journal of Democracy, 24(4), 97-109. Moseley, M. WW. (2015). Contentious engagement: Understanding protest participation in Latin American democracies. Journal of Politics in Latin America, 7(3), 3-48. Norris, P. (1999). Introduction: The growth of critical citizens? En P. Norris (ed. ), Critical citizens. Global support for democratic governance (pp. 1-13). Oxford: Oxford University Press. Norris, P. (2011). Democratic deficit. Critical citizens revisited. Cambridge: Cambridge University Press. Paris, R. (2004). At war's end: Building peace after civil conflict. Cambridge, Mass: Cambridge University Press. Paris, R. (2006). Bringing the leviathan back in: Classical versus contemporary studies of the liberal peace. International Studies Review, 8(3), 425-440. Patiño, C. A. (2012). Guerra y construcción del Estado en Colombia 1810-2010. 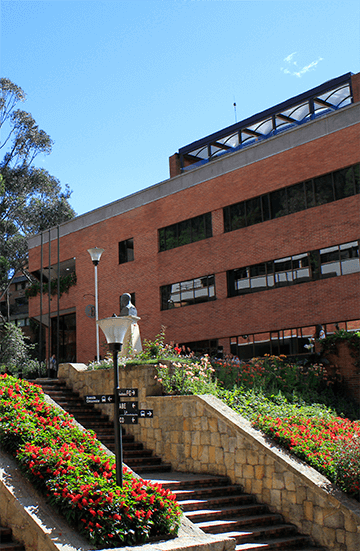 Bogotá: Universidad Militar Nueva Granada. PNUD. (2011). Colombia rural. Razones para la esperanza. Informe nacional de desarrollo humano 2011. Bogotá. Rupnik, J. (2012). How things went wrong? Journal of Democracy, 23(3), 132-137. Shevtsova, L. (2015). Forward to the past in Russia. Journal of Democracy, 26(2), 22-36. Velásquez, F. (2015). Participación ciudadana en el proceso de paz de El Caguán. Bogotá. Velásquez, F. y González, E. (2003). ¿Qué ha pasado con la participación ciudadana en Colombia? Bogotá: Fundación Corona. Warren, M. (2006). Democracy and the State. En J. Dryzek et al. (eds. ), Handbook of political theory (pp. 382-399). Oxford, Nueva York: Oxford University Press.